So, I bought my first laptop last year. Why so late? Well, I know PCs are better than Laptops and I don't like wasting money. So I waited until I really needed a computer on the go. The time came finally and my father too agreed to buy me a laptop. I did extensive research and talked to so many people and shopkeepers, read tonnes of reviews on Internet, and thought to buy a HP dv6. My cousin lives abroad and told me he would buy me one and I can give him money when we meet since the laptops are quite cheaper in his country as compared to India. 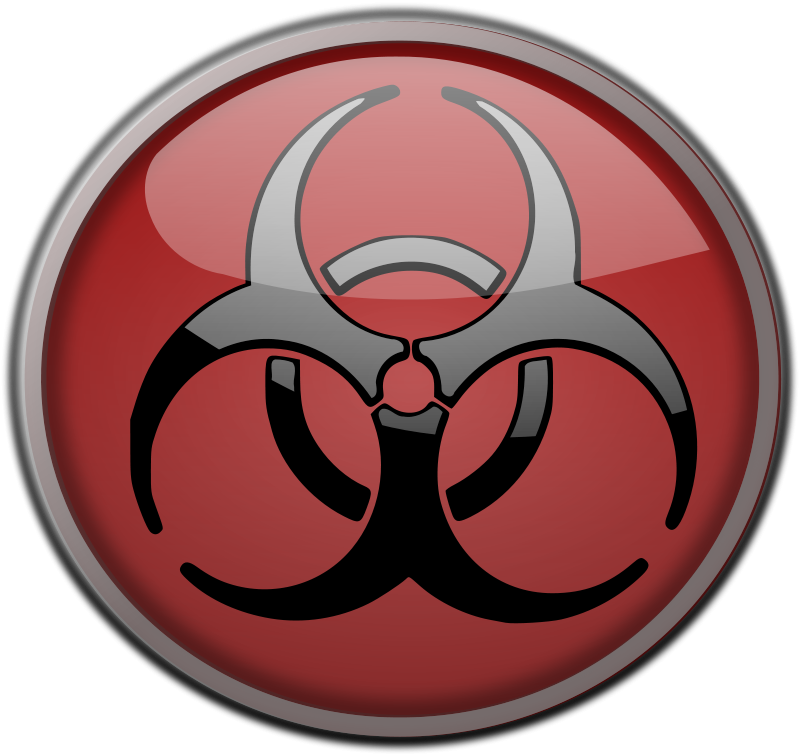 So I started more research to find something more durable and one that carries International Warranty. Sony was one that I immediately ruled out off the list of choices since the cheaper ones are not durable and durable ones are damn expensive! Toshiba is not too popular in India as yet, so I had to give up that also because not too popular implies, bad service(lack of service centres, contacts, etc.) Dell never seems appealing to me, I gave up on that idea way before Sony! :P Moreover, though popular, the reviews of dell(once the warranty expires) are worst! HP doesn't come with an international warranty, and I was thinking of buying a dv6. I gave up that idea too. 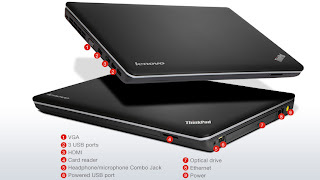 Now I was thinking about Lenovo IdeaPad. After much roaming around the city and getting reviews, my father suggested me to look for IBM. I thought oh yes, I never thought about it. I came to know it now sells by the name of Lenovo ThinkPad. I immediately started my research. Found that though Lenovo won't be giving me International warranty, and if I want it I'll have to pay extra, still their durability is unmatched. 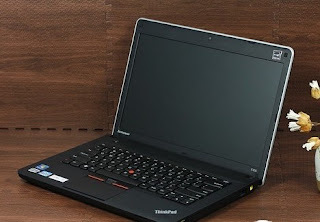 Even MacBook stand nowhere when we talk of the durability of a ThinkPad. I was confused between e430 and the tougher option T430, but I thought to go for the less expensive one and bought the e430. When talking about this laptop, the first thing that solves most queries related to durability and quality is to highlight the fact that it's a ThinkPad, the original IBM series. It's been over 6 months since I have been using it(I bought it in October '12 end) and so it is perfect to review about it, and I can tell about most things. 14" screen makes it an 'easy-enough' display which bundles the portability by being a bit smaller than the other Edge variant, e530. 14" sounds sometimes small, but when you'll use it you'll know it is the most sufficient one. Even more portable that the 15" ones, because 14" being lighter and smaller. It lacks the Numpad as any 14" laptop, but still the keyboard is amazing. The keys are silent and the keyboard formation is such that it feels quite comfortable while typing. 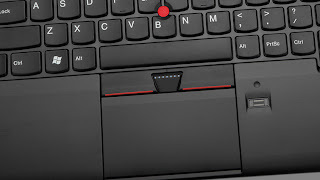 The Trackpad is centre aligned rather than left aligned in most laptops. This makes the laptop surfce around the Trackpad become a good palmrest as I type! :D It has got dedicated media control buttons so no need to drag the pointer to the pause/play button, Volume Up/Down, Brightness, Wifi, Camera, Mic, or Mute! One thing it lacks is a Pause/Break button which I, as a programmer, feel quite sad about. The only problem is that there is no room for a dedicated GPU in case you wish to upgrade at a later stage. You have to rely on the Intel HD Graphics alone. So gamers! e430 should not be anything in your wishlist. Well, when I bought it there was no option, so I am not sure if they now have a slot for GPU too :) This thing you gotta check on your own, I don't know. 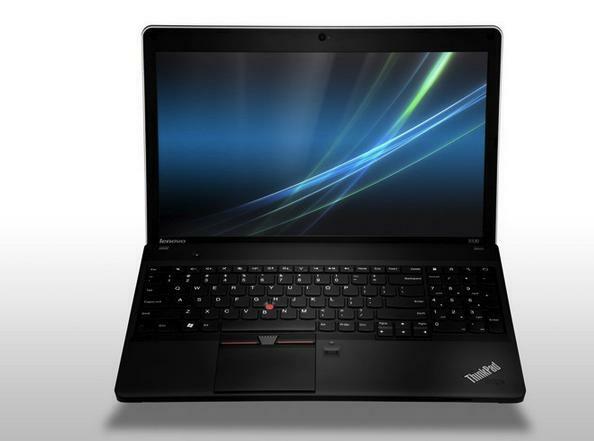 Linux Support - ThinkPad supports Linux OS. This means that it is configured to run Linux, which heats up most laptops excessively if not administered by a professional or someone with good knowledge of Linux. 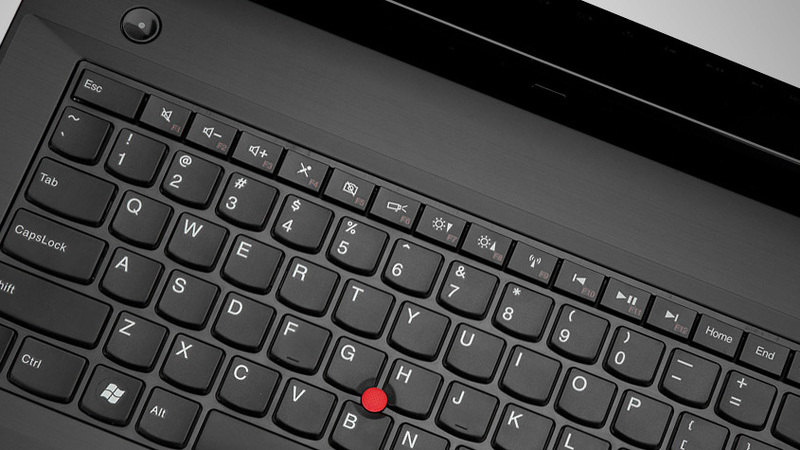 TrackPoint - Perhaps the oldest feature running from the IBM ThinkPad inherited by Lenovo too, makes it really easy to scroll and use pointer with keyboard at times, without the need of a mouse. e430 is the BEST choice and worth every penny! 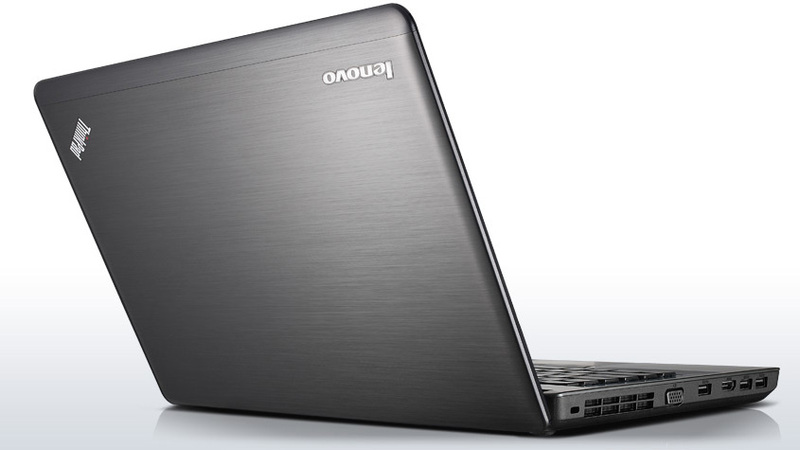 It is a better choice than consumer line IdeaPad, or Pavilion g6, or Inspiron(I don't know about XPS or dv6 so I'd not comment). 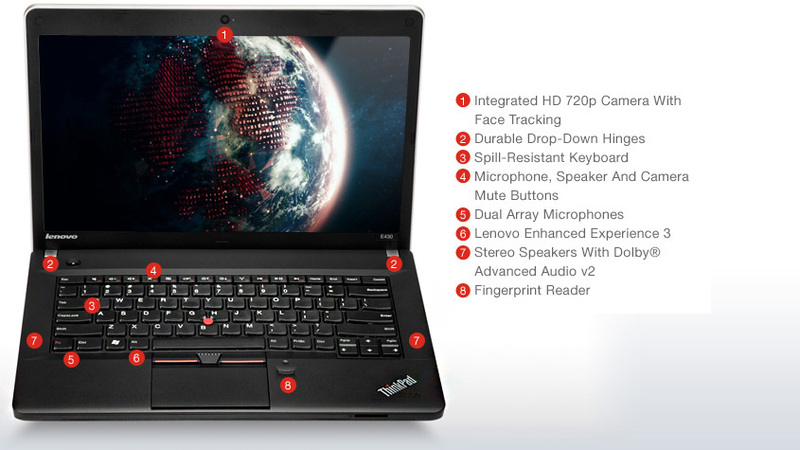 Spend a little extra over that IdeaPad and buy yourself a Thinkpad, a complete package of Class, Quality, Durability and Amazingness! It has got 3 USB 3.0 ports, and one eSATA(that is a USB 2.0 port that can be used even when the laptop is powered off. It is used to charge devices from Laptop battery). Moreover e430 has both HDMI and VGA ports so that you can connect to all sorts of displays easily, so be happy those who worry about their laptop connectivities during presentations! :D One Ethernet port with a Gigabit Ethernet Card which means super fast speed on Wired LAN connections! haha, cannot leave talking about tech sir! Seeing the specifications of your new laptop, glad that you finally found something that has great features suitable to your standards. It surely provided you with more value for your money. Enjoy! Ordered my E430 a couple of days ago. It arrives today. Quite excited. Like you, I researched for a number of weeks before settling on this. 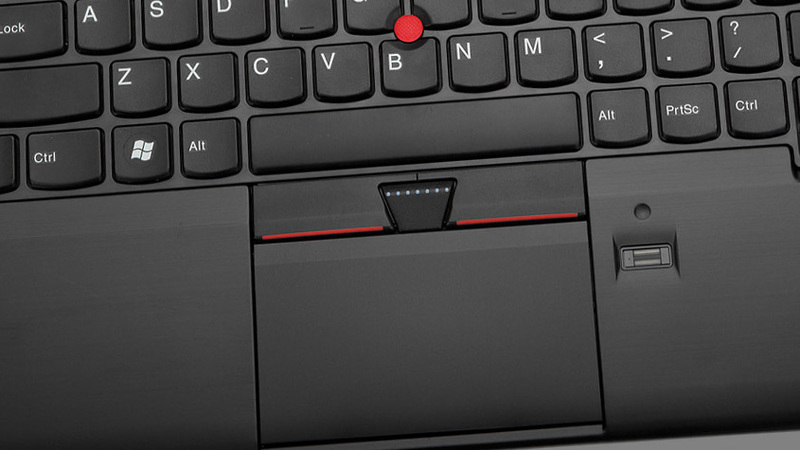 I would have liked the backlit keys of the T430, but it's something I can do without. I've got the i5 3230M variant, so I assume it'll be a good deal snappier. 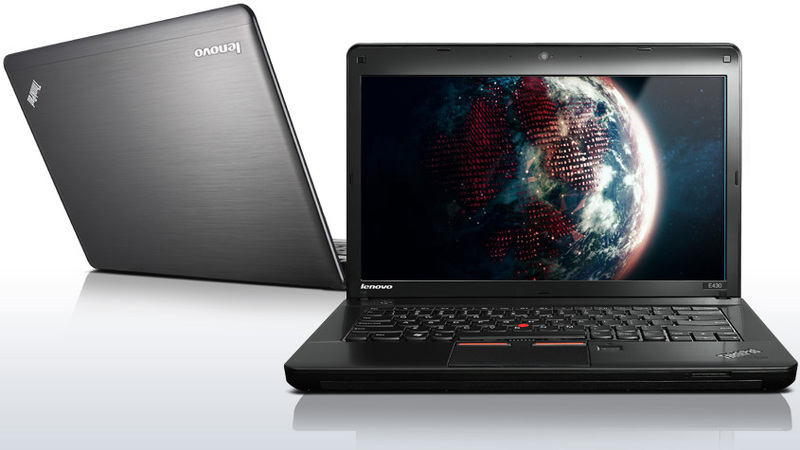 I think it's a great choice for people who aren't buying a portable PC for gaming or for show (ahem, Macbook users). Thanks for your valuable information..please include some important ideas..I Am working in Dell used laptops for sale in chennaishould you need for any other clarification please call in this number.044-421 27512. It is fantastic but I will recommend Lenovo ThinkPad E565 because it is cheap laptop having high specs. Thanks for helping out, great information.The article posted was very informative and useful. You people are doing a great job. Keep going.